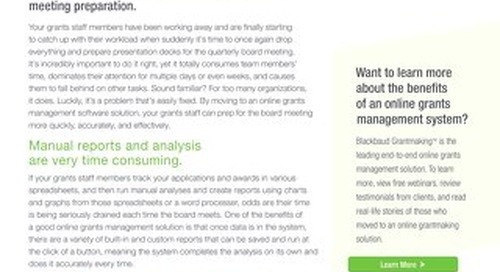 Spending too much time prepping for the board meeting? 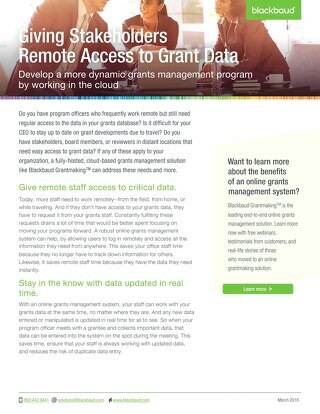 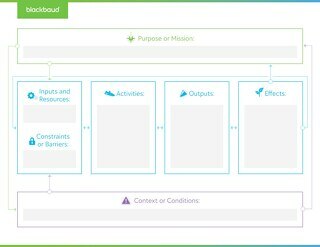 Hear what real customers have to say about Blackbaud Grantmaking in a report published by TrustRadius. 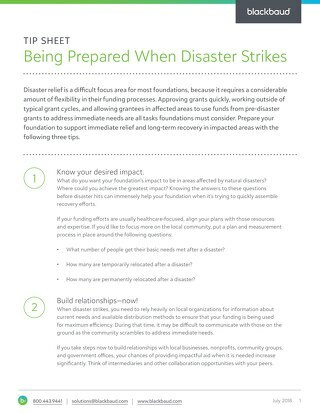 Learn about how flexible grantmaking technology and data can support your disaster relief efforts. 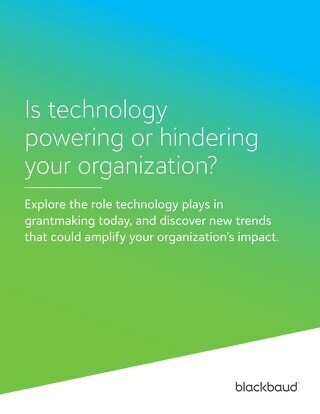 Is technology powering or hindering your organization? 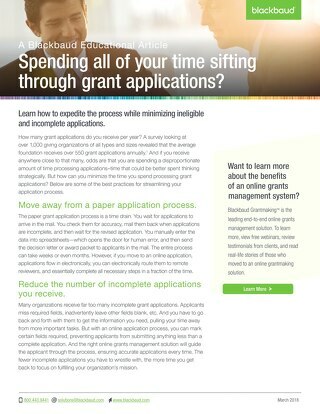 Don't spend all your time on grant applications.